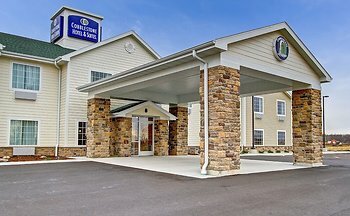 Cobblestone Hotel & Suites - Pulaski, Pulaski, United States of America - Lowest Rate Guaranteed! Located in Pulaski, Cobblestone Hotel & Suites - Pulaski is within a 15-minute drive of NEW Zoo and Thornberry Creek at Oneida. This hotel is 12.9 mi (20.8 km) from Green Bay Botanical Garden and 15.5 mi (25 km) from Oneida Casino. Lingering antiiceptic smell of cleaning materials used.